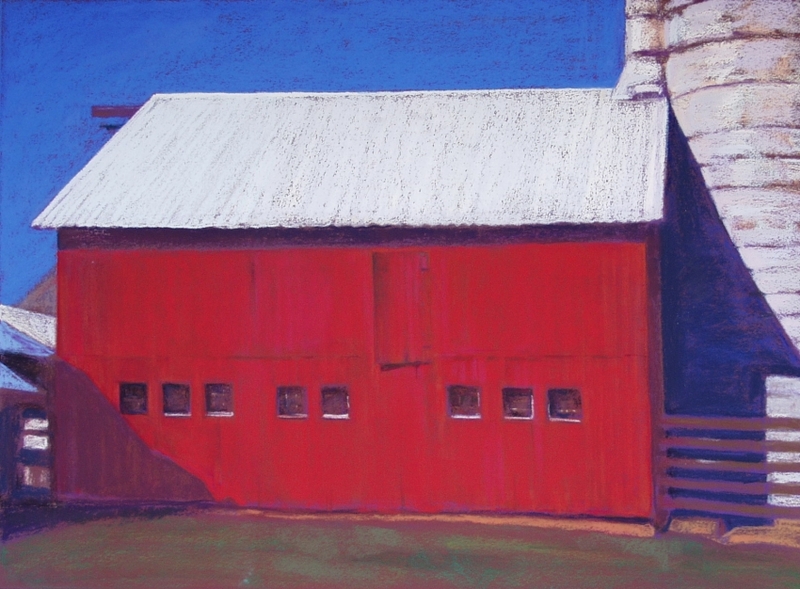 My work is based on two keys elements, the nature of the pastel medium and the subject matter that has the greatest appeal to me–the rural landscape. I respond emotionally and visually to a natural environment that seems hospitable to humans and to architecture that seems in harmony with the natural environment. These landscapes can still be found in the small towns, family farms, and tidewater rivers and marshes of Maryland’s Eastern Shore. For me, pastel is the ideal medium. I respond to its capacity for directness, spontaneity and flexibility. While shape, color and value are critical elements, the quality of the surface is equally important. I think of reality as a springboard to experimentation and exploration. In this regard, a working farmyard offers endless possibilities—a fascinating combination of shapes and values, light and shadow, the geometry of manmade structures and the textures of fields and trees. The challenge is to retain a “sense of place” while creating a new reality—one that exists on the two-dimensional surface and consists of the dynamic interplay between pigment and paper.